These are the sayings that are hideously overused in our world but often earn their place in our vernacular. This justification is certainly evidenced in Jamie Kastner’s latest project, The Skyjacker's Tale. 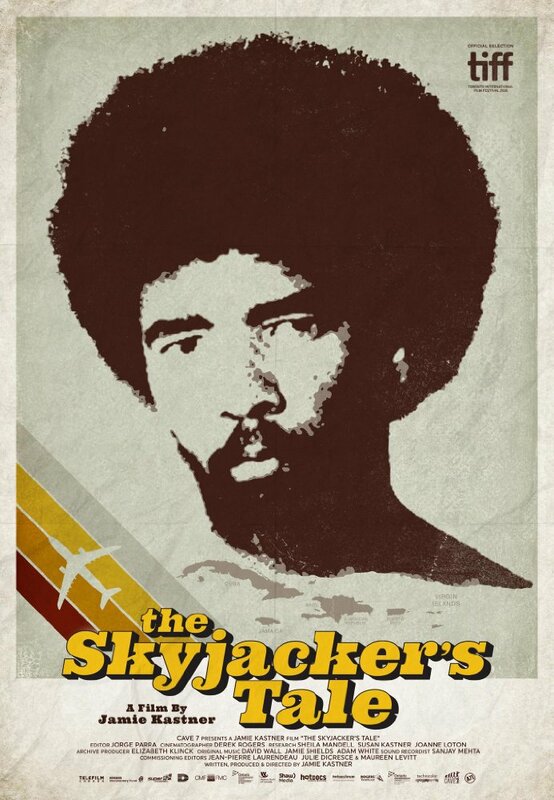 The Skyjacker's Tale tells the story of Ishmael Muslim Ali (formerly known as Ishmael LaBeet), a convicted mass murderer from the Virgin Islands who has been living in exile in Cuba since forcing his way to “freedom” through the hijacking of a commercial airliner. Yes, that sentence is a mouthful, as is this complex story. One would think that to tell this story properly, the filmmaker would have to create an 8-hour opus similar to 2016’s O.J. : Made in America but Kastner is judicious and concise while illuminating the numerous twists, turns, and gray areas that are littered throughout Ishmael Muslim Ali’s story. Kastner sets the tone early in the film through various talking heads telling us that Ishmael Muslim Ali is a hideous criminal and that he should be “rotting in hell.” What the audience does not realize is that those direct statements are the last time that the film will present a cut and dry opinion, as it gives way to the complexities of Ali’s innocence or lack thereof and the manner in which he found himself imprisoned and seeking freedom in the most audacious manner. Here is where Kastner takes into an all too familiar world of social injustices, racial and socioeconomic inequities, and the bastardization of our judicial system. By peeling back the layers of this story, Kastner drags the audience into a little-known story that serves as a solid entry into a long line of expose-style documentaries that have bigger things on its mind than simply giving us a entertaining escape from reality. Kastner uses this little-known story to fold the screen and take the audience into a very timely discussion that can be seen on our news feeds every day. The Skyjacker’s Tale doesn’t offer a great deal of cinematic bells and whistles (we get the usual talking heads and reenactments), but what it does provide is a well-shot and well-told story that resonates today as it would have forty years ago. At 76 minutes, this film feels like a dense and flavorful reduction that is as tasty as it is healthy.